Transform your conservatory with our range of replacement conservatory roofs. Available for homes throughout Fleet, Hampshire, Farnham, Camberley, Aldershot, Basingstoke, Hook, Farnborough, Bagshot, Lightwater, Cove and the surrounding areas. It's never been easier to replace your conservatory roof with one of our tiled, solid or glass roof alternatives. Conservatory roof replacements are a brilliant way to revamp dated polycarbonate conservatory roofs in your home in Fleet and Hampshire. Our tiled roof replacements convert your conservatory from a simple sunroom into a fantastic combination of extension and conservatory, making it brilliantly functional while enhancing its aesthetics. Another of our conservatory roof options is our gorgeous solid roof replacements. They offer a combination of solid conservatory roof panels and more conventional glass ones. They can help make your Fleet home much more energy efficient in the colder months of the year. Finally, we offer more traditional glass conservatories if you’re looking to replace a tired roof without changing the actual look of your extension. Our glass conservatory roofs cost a lot less than completely replacing the conservatory altogether, making them an affordable way to revamp your home in the Hampshire area. 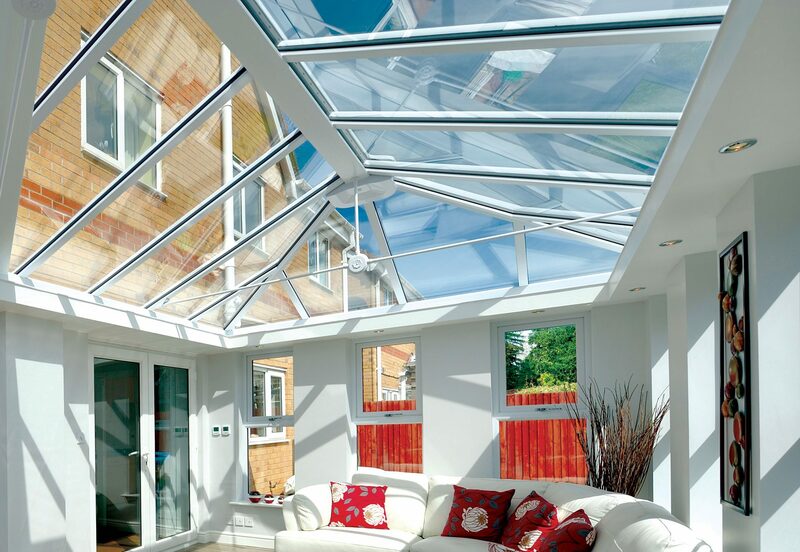 The market leaders in Ultraframe supply all our stunning conservatory roof replacement options. 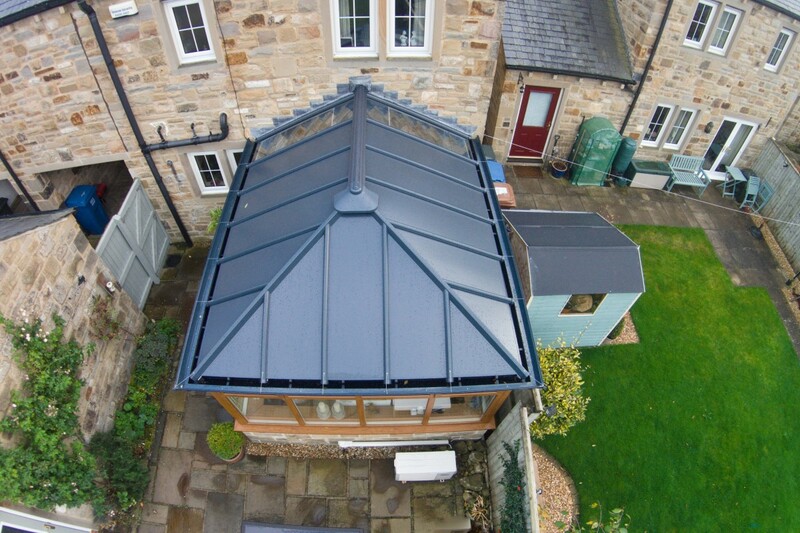 We believe that they offer a better quality of product than anyone else in the conservatory roof business, ensuring you’re left with a brilliant, long-lasting and eye-catching roof replacement after coming to Cristal. If you’re looking to transform the look of your conservatory without replacing it entirely, a tiled roof is a superb option for homeowners like you in Fleet. You’ll maintain all the perks of a conventional conservatory while adding an energy efficient and aesthetically pleasing roof. Our tiled conservatory roofs cost less than you might imagine but are an incredibly smart investment for your Hampshire home. Unlike older polycarbonate roofs, they offer superb insulation which in turn will help trap the warmth inside your house. As a result, you won’t need the heating on full blast to enjoy your conservatory through the winter months, and in turn, could save money on your energy bills. Therefore, they are a smart investment for their price, when looking to replace your conservatory roof. Tiled conservatory roofs are also an excellent choice for improved security. They offer the secure and robust benefits that you would associate with traditional brick built extensions. Our efficiently fitted tiled conservatory roofs are uniquely connected to your conservatory frame to make sure that they are immovable, maintaining their high performance whatever the weather. Replacing your conservatory roof with a solid roof is a cost-effective and smart way to renovate your home. With a solid roof, we would replace a portion of your conservatory roof panels with Ultraframe’s stunning solid Livinroof, while also including a handful of double glazed glass panels, if required, to ensure that natural light still floods into the conservatory. The intelligent design is manufactured so that the lightweight solid panels offer brilliant thermal efficiency and heat retention, which in turn means that your home is warm in winter, but not too hot in the summer. The solid panels are also incredibly robust and sturdy, making them a smart way to keep your home as secure possible without the pricey cost of replacing your entire conservatory with a traditional extension or orangery. Our solid conservatory roof replacement is entirely bespoke. One fantastic idea with replacing your conservatory roof with a solid roof is to be able to utilise the more structurally secure roof panels to install beautiful light fittings. The panels are much more rigid that more conventional roofs, meaning if you have a flatter conservatory roof you have the possibility of installing light fixtures which can match the style and décor of your home in the Fleet area. Thinking About A Replacement Glass Conservatory Roof? 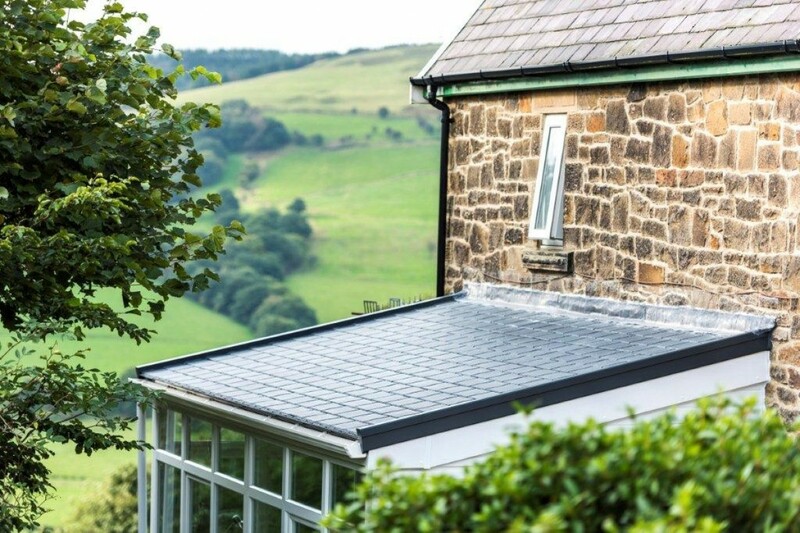 If you’re concerned that your current conservatory roof isn’t performing to the best of its ability, but you aren’t keen on one of our stunning tile or solid replacement options; then a glass roof could be for you. Made with thermally efficient glazing, the thermal performance of these roofs is outstanding. However, with a glass replacement roof, you will continue to allow an unrestricted amount of natural light to enter the room, making it the perfect social space during the summer months. Despite this, this replacement roof idea will offer you fantastic UV protection so you can enjoy the conservatory worry-free. With solar resistant glass, you will be able to maintain the quality of your furniture without sun damage concerns. Our tried and tested glass roof replacements could block out as much as 83% of the UV rays, making a glass roof the perfect replacement for a polycarbonate one. There are many upgrades available for your glass roof replacement, so be sure to ask about these! By opting for a performance glass replacement conservatory roof, you can enjoy panoramic views all year round. Here at Cristal Windows, our replacement conservatory roof prices are exceptional, offering superb value for money in Fleet, Hampshire, Farnham, Camberley, Aldershot, Basingstoke, Hook, Farnborough, Bagshot, Lightwater, Cove and surrounding areas. You can count on our competitive tiled conservatory roof quotes and our expert and trustworthy installation services. You can use our online quote generator to source a guide replacement roof price. Alternatively, contact us to find out more about our replacement conservatory roofs in Fleet and Hampshire and book in for a survey!